You've heard the phrase "It's not over until the fat lady sings," right? Well, wear this shirt so everyone knows it's over. The fat lady is singing! 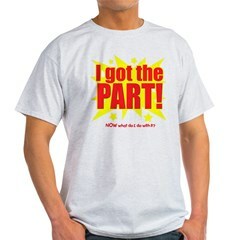 A funny theater t-shirt design. 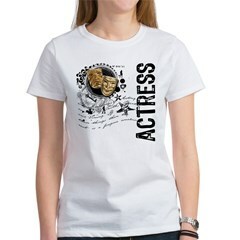 Express your love of acting with this classic black and white drama mask design. A stylish theater design made just for actors. You got the part, and you're proud, dang it! You're also totally clueless about what comes next. "NOW what do i do with it?" Or you just want to give your new director a heart attack. 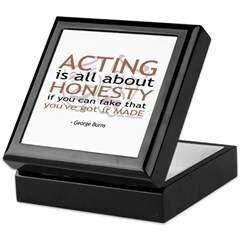 Have a King of the Drama in your life? Maybe you're one yourself? Then wear it proud and wear it loud! 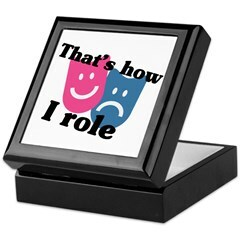 King of the Drama!! 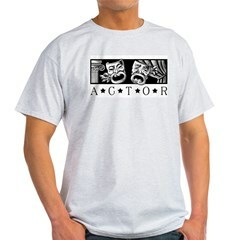 A great grunge-inspired t-shirt made just for drama kings. 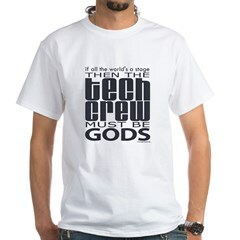 "If all the world's a stage, then the Tech Crew must be Gods" - not really much else to say, really! 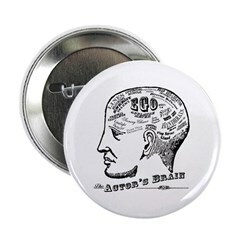 Perfect for the Tech in your life who takes his or her job very seriously.